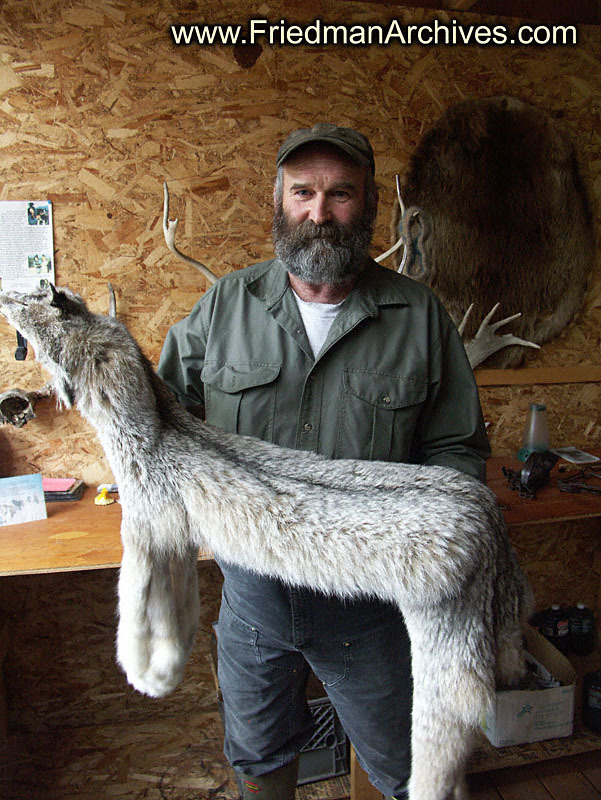 A trapper near Cantwell holds a pelt of a wolf. One of these can fetch up to $500 from a furrier. Trappers defend their trade saying it is a time-honored and honest living.